Durham, NC - Virgil Vasquez struck out 10 on his way to picking up his third victory of the season as the Bulls held on for a 6-4 victory over Gwinnett in front of a record setting crowd of 11,674 Sunday night at Durham Bulls Athletic Park. Chris Richard reached base four times including a pair of RBI doubles as the Bulls improve to 50-32 on the season. The two teams exchanged runs in the fourth inning, as the Braves got a pair of hits to leadoff the top of the inning off Vasquez to push a run across. Matt Young doubled and Wes Timmons followed with a single, putting the Braves up 1-0. The Bulls tied it in the bottom of the inning, as Richard brought home a run with a double over the head of the center fielder to tie the game at one apiece. The Bulls added four in the bottom of the fifth inning to take a 5-1 lead. With runners at first and second with nobody out, J.J. Furmaniak’s sacrifice bunt attempt was mishandled by Timmons at third to load the bases. One batter later, Dan Johnson laced a double into the right field corner to plate two runs and give the Bulls a 3-1 lead. Gwinnett manager Dave Brundage went to his bullpen for right-hander Scott Procter, who got one out before walking Chris Richard to load the bases. Dioner Navarro followed with a chopper to short, but the ball skipped under the glove of Joe Thurston allowing a pair of runs to come home on the error. Vasquez finished the night strong, allowing a single to Timmons in the sixth before striking out the next three hitters in order to end his night with 10 punch-outs. The right-hander earned his third win of the season and first since coming off the disabled list after a wrist injury he suffered in late April. Darin Downs came on in relief for the Bulls, but was roughed up for three earned runs in 1.1 innings of work as the Braves cut the deficit to 6-4. Timmons singled to bring home a run, and Freddie Freeman followed with his 10th home run of the year to bring Gwinnett within two. 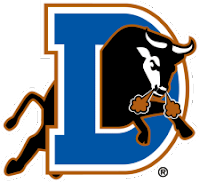 Winston Abreu came on with one out in the seventh for Downs, striking out four of the five hitters he faced to earn the save and snap the Bulls two-game losing streak. It was Abreu’s ninth save in as many opportunities this season, and the right-hander has not allowed an earned run since May 18 against Toledo, spanning 16.2 innings of work. The two teams close out the series tomorrow as RHP Jeremy Hellickson (10-2 2.35) takes the hill against LHP Jose Ortegano (2-4, 4.94) for Gwinnett. Game time is set for 5:05 p.m.